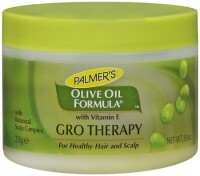 Directions On dry hair: Place a small dollop into palms, rub hands together and smooth through hair from scalp to ends. 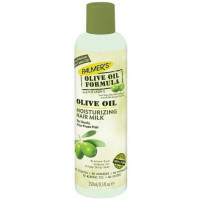 On damp hair: Apply evenly working through hair, to protect from styling damage caused by heat appliances. 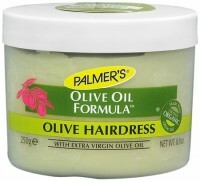 Uses Infuse dry, frizzy hair with the natural conditioning power of extra virgin olive oil. 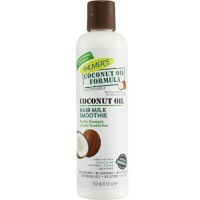 Penetrates hair strands with moisture, softness and shine for salon-quality style. Palmer's Organi-GRO (exclusive blend of nettle extract, sage and hyssop). Moisturizes and softens. Helps strengthen weak hair. 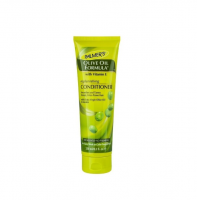 Protects hair before heat styling. Delivers maximum shine. Palmer's is against animal testing.